This August, we have cut in half the chat window loading times by switching to a new CDN provider – EdgeCast. 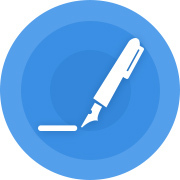 We also introduced a number of improvements that will make your job much easier and faster. Various tweaks and upgrades like chat importance indicators and conversation timeline will help you keep track of every conversation and satisfy every client. 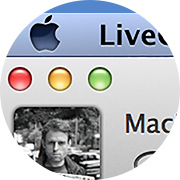 Start chatting using the new Mac application today. The new, battery efficient Android app will keep you chatting with customers to the wee hours of the night! Get the updated Android app to chat as much as you want. 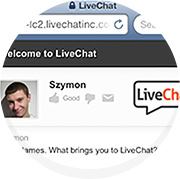 Your customers can also use their mobile devices to access LiveChat. The chat window is now supported across all mobile devices, which allows your clients to contact you everywhere. 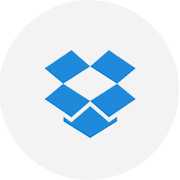 Connect your LiveChat to products like Dropbox, MailChimp, ActiveCampaign and Firefly to enable new ways of helping your clients and gaining new leads. 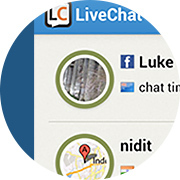 Read about the thought process and technologies that create foundations for LiveChat. Check out the latest post about the usability of notifications.